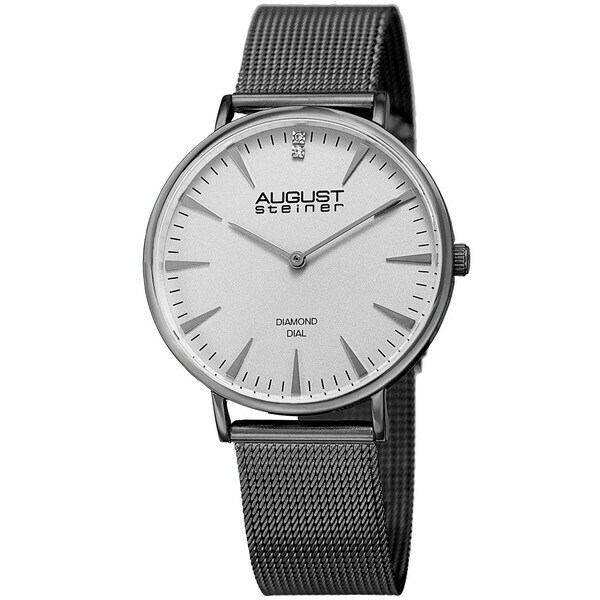 August Steiner presents this simple yet elegant women's timepiece. The matte finish dial showcases a minimalistic personality with ultra slim hands and genuine diamond markers at 12 o'clock. It is completed with a stylish stainless steel mesh bracelet. Love this watch. It is thin, sleek and looks great for any occasion.